SEO is not the end-all holy grail to online marketing, but there is one thing for certain: people use search engines. Having an online presence can instantly connect you with qualified buyers all over the world, but getting in front of new customers is a lot easier said than done. There are a million roads you can take to the top, but SEO has proven to be one of the highest return investments any business can make. This article covers how you can leverage SEO (by yourself or by investing in SEO services) to reel in more customers month after month. If you run a business or have a product to sell, chances are you want to make more money. Ranking high in search means traffic to your website. More traffic, means more visitors. More visitors means more conversions. Whether you are selling a product or service, growing your subscribers or boosting your ad performance, traffic from search engines can rarely be beat. SEO services cannot create demand where there is none. But when done right, SEO can funnel new visitors to your business around the clock. — Rob Lons, RankPay SEO Services. 70% of the links search users clicks on are organic. Organic search traffic is the best traffic you can have, but it’s clearly not the easiest to get. You can either go through the process of ranking your site yourself or outsource to another company. By now you understand that SEO is something you should pay attention to, but it still comes down to doing it yourself or paying another company to handle it for you. There are drawbacks to each. Creating content takes time. Paying for SEO services costs money. So, should you do it yourself or outsource SEO services? It really comes down to this: do whatever makes the most impact for your business. If you have a deep knowledge of online marketing and know you can get results, then launching your own SEO campaign would be your best leverage. But if your time is best spent elsewhere, you should invest in SEO services and focus on what you do best. 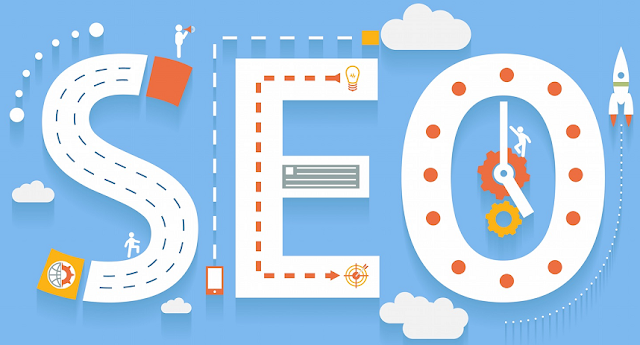 Choosing the best SEO service can be difficult. There are so many options to consider. A study by Moz polled over 600 SEO agencies and found that most require monthly retainers. Still, there are even more options. SEO services vary drastically in pricing strategies. Hourly SEO pricing. A simple Google search shows the average cost of SEO is no less than $100 per hour. Hourly pricing is best used for consulting and strategy calls, never for ongoing work. Project-based SEO pricing. Paying per project is best if you need a site audit or have a defined project with a clear end date. This is a good option if you have a very limited budget that you cannot exceed. Monthly SEO pricing. By far the most common, monthly SEO pricing averages around $750 per month. SEO packages are typically charged at the same rate per month and may or may not include a set commitment. Pay for performance SEO. Performance-based SEO delivers results before you pay. This option is a favorite for small businesses and those with smaller marketing budgets because it allows them to pay only for results, nothing else. Making the right choice comes down to understanding your investment. SEO takes time. Most SEO campaigns will take up to six months to increase rankings. And just because rankings go up, doesn’t mean this will directly translate into more revenue. It all comes down to what keywords you target and if these keywords convert for your business. In the end, you want to choose a reputable company and an SEO service that matches your business goals and level of investment.